Please Note: Follow all instructions carefully. Missing any of them will make the whole thing Fail! For those of you who don't know what hello world is - hello world is most basic program possible and it should be the first program a person should try when learning a new language. A hello world program is one that simply shows the two words hello world triggered by some action by the user. Before we begin. You may want to download the source code at the end of the page if you have difficulty. Drag and drop your choice on stage. hit F9 to see actions window. There is nothing really to explain in this. 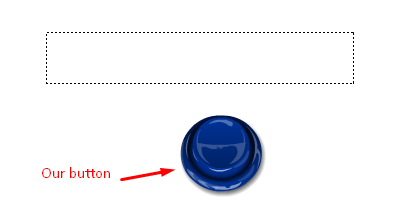 When we click the button and release it the code gets executed. 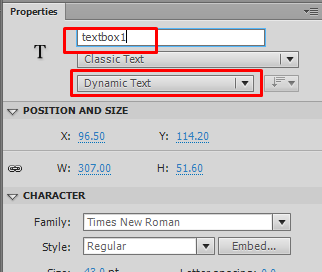 we refer to instance name textbox1, remember thats the name we gave to the textbox. Then we assign the words hello world to it. Yeah thats it. NOTE: The words hello world should be in " " as it is a string. play around flash for a while: the best way to learn! Lets make an analog Clock!